Last year, I wrote an article similar to this one, and it began with the same name. Coleman returns as the Falcons once again appear to have one of the top 1-2 backfield punches in the NFL. 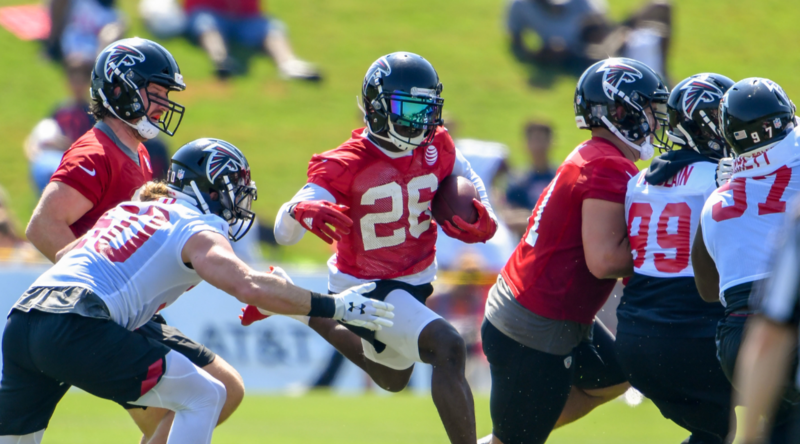 While the Atlanta offense as a whole took a step back in 2018, expect big things out of both of their runners this coming season. Coleman has tremendous value regardless of how Devonta Freeman’s season turns out. Over the past three seasons, Freeman’s numbers have gone down every year (338 in 2016; 281 in 2017; 232 in 2018) while Coleman’s have gone up (89 in 2016; 149 in 2017; 183 in 2018). Even if Freeman is in the lineup, Coleman will get his fair of touches. In the event Freeman misses time, Coleman instantly becomes a top-10 option given his top-end speed and explosive strength. Just two years after signing a lucrative deal to be Jacksonville’s top runner, Ivory finds himself in a backup role for a conference rival. Ivory never received a fair shake with the Jaguars. After inking him to a deal, the Jaguars then spent a second-round pick on a gifted receiving back in T.J. Yeldon. The very next season, the Jaguars found themselves with a top-five pick, and couldn’t resist using it on LSU’s Leonard Fournette. With Fournette and Yeldon in tow, there was no space left in Jacksonville’s backfield for the bruising Ivory. The Buffalo Bills quickly scooped him up this past offseason, as they desperately searched for an insurance policy in case LeSean McCoy becomes unavailable. Currently involved in legal issues, McCoy’s status remains up in the air, opening the door for Ivory to seize a starting role early on. The Bills have leaned on their running backs in recent history. That won’t change with either the unproven A.J. McCarron or rookie Josh Allen under center. Ivory will get a crack at goal line carries, with or without McCoy in the lineup, and could potentially end the season with the largest slice of Buffalo’s rushing touchdowns. 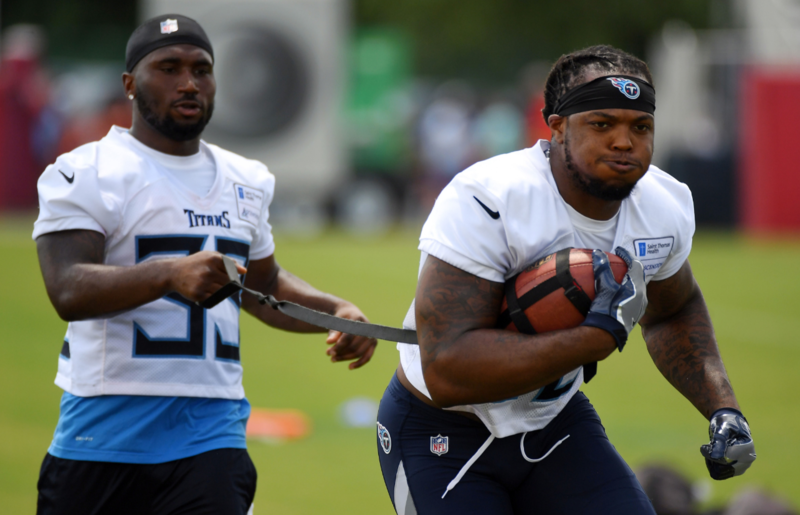 Depending on the rules of your league, Lewis could conceivably be drafted ahead of Tennessee’s perceived starter — Derrick Henry. Lewis’ productivity is highlighted in PPR leagues, where he can get credit for each screen and wheel route he hauls in. The former New England back hauled in 85 passes in 30 games as a Patriot. Lewis is coming off his best season as a pro — one in which he tallied 1,110 yards from scrimmage on 215 touches. Henry’s NFL tenure has been rocky, at best. His 4.2 yard per carry average dips nearly a full-yard (3.4) if you take out his two biggest runs from last season (72 and 75). Outside of those two carries, Henry was mostly stymied due to a lack of vision and balance. It’s not all that difficult to imagine Henry struggling again, and Lewis being leaned on more heavily for his ability out of the backfield. Last season, I pegged former Utah rusher Joe Williams as the handcuff to look for in San Francisco’s offense given Carlos Hyde’s rough injury history. Considering Breida out-touched Williams by the score of 126-0, it’s safe to say I was off the mark. Kyle Shanahan takes after his father in his utilization of running backs. While he doesn’t produce 1,000-yard rushers at the same rate as his Pops, Kyle shares Mike’s ability for getting his playmakers the ball in open space. It’s the reason why so many are high on offseason acquisition Jerick McKinnon heading into the season. Shifty backs with good hands typically flourish in Shanahan-led offenses. While McKinnon will be heavily featured, Breida will still have a role. The Georgia Southern runner is just as shifty as San Fran’s starter, and provides the same type of dynamic qualities that McKinnon has. McKinnon set a career-high in touches last year at 201, while San Fran’s lead back (Hyde) had nearly 300 totes. There’s plenty of touches to go around for 49ers backs, and Breida has the ability to convert on those opportunities. 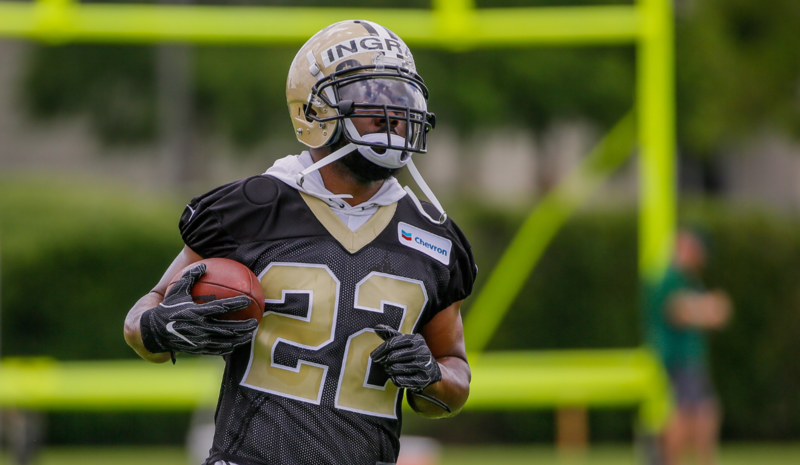 Don’t let the four-game suspension scare you off; Ingram will re-assume his prominent role in New Orleans’ offense as soon as he hits the field. The former Heisman Trophy winner has been a steady contributor throughout his NFL tenure, and is coming off arguably the best season of his career. He can attribute much of his success to the Saints’ emphasis on running the ball, as well as the emergence of rookie sensation Alvin Kamara. The Saints’ offense functions through the use of two running backs. With Sean Payton able to switch through Kamara and Ingram with hardly any drawbacks, defenses grow more and more tired as the game wears on. When the Saints reach the red zone — which they often do considering how explosive their offense can be — Ingram has consistently been the go-to guy. Last year, Ingram had eight touchdowns that came from within the three-yard line — Kamara had just one score from within the same distance. As soon as Ingram is ready to play, he’ll instantly be a major contributor. A fantasy darling early in 2017, Thompson enters the season, yet again, as Washington’s backup. Rookie rusher Derrius Guice is expected to be on the field in early downs, as the speedy Thompson will get most of the work in passing situations. No matter who ends up getting the most touches by season’s end, Thompson will be a useful player given his versatility and home run capability. Newly signed Washington quarterback Alex Smith is essentially tailor-made to supplement productive running backs. He’s good enough to consistently move the ball down field, but not overly prolific as to steal all of the scoring opportunities. Kansas City running backs scored a total of 18 touchdowns last year, and only 11 of those came from Kareem Hunt. Charcandrick West scored four times last year on just 45 touches, and possesses a similar skill-set to Thompson. Thompson is better than West, and Guice isn’t as good as Hunt. Expect more of a 50/50 share in Washington’s backfield, with Thompson’s value skyrocketing in PPR formats.